Epoxy floorings provide a fine-tuned layer that is packed with advantages. Compared to an ordinary flooring, an epoxy coating score higher in appearing bright and professional. The smooth and enticing texture psychologically produces fresh and energetic vibes. The cost of epoxy floors is very economic. This is the main factor that carries a huge incentive for consumers. An epoxy flooring can be applied directly over a variety of flooring types, especially, concrete. The costs for installing it is low which serves as an immediate advantage for its use. Epoxy floors pose great resistance to just about everything, from oil spills to gasoline to bleach, to various fluids to much more. This explains why epoxy floorings are used in the garage and industrial settings on a large scale. Besides their ability to withstand chemical spills/cleaners, they also withstand water and heat. The coating does its job without incurring any damage to itself. In addition, these floors are also bacteria-resistant which aids in the sanitization process. This is why epoxy floorings are also fairly utilized in hospitals and clinics. Durability is epoxy floorings’ strongest line of defense. These floors adequately stand the test of time. They can last longer than several decades without peeling or cracking if installed properly. To learn more about this, find out how epoxy works. An epoxy flooring offers maximum protection in various ways. 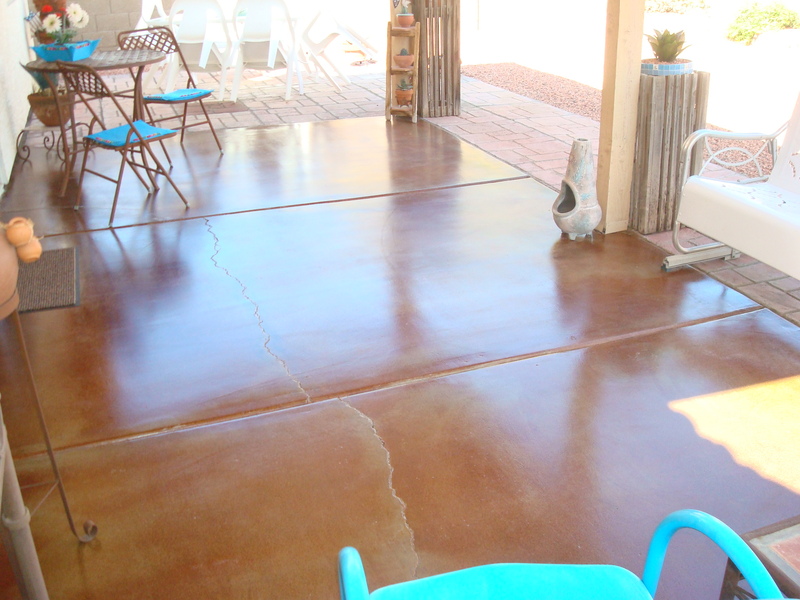 It protects the concrete from cracks, moisture, grease, and other weather-based conditions. For being reasonably priced as it is, it offers a great level and duration of protection. Epoxy floorings don’t lag in variety. They come in a rich variety of colors to create unique designs. These coatings can be customized into different patterns ranging from traditional to ultra-personalized designs. Safety is also a plus point with epoxy floors. It enhances the reflection of light on concrete floorings and increases visibility in dark places like garages and sheds. This in turn also reduces your energy bills as light is better reflected and utilized. The smooth and easy to sweep epoxy floors are easy to maintain. Since spills don’t stain or stick much to this type of flooring, cleaning up is fairly easy. In the long run, this feature can save you a great amount of money in repair and maintenance costs. Moving heavily loaded carts around on epoxy floorings is much easier than moving them on concrete or other rough types of floorings. The smooth texture of epoxy floorings reduces friction. And it allows movement to occur without straining the muscles much.